According to new results from The Harris Poll, more than half of Americans, or 53% said they have watched streaming television on an internet connected device. The poll, which was conducted in October of this year and surveyed 2,343 adults revealed how people are watching television in North America–whether it be streaming or not. An astonishing 41% of 18-35-year-olds stream their favorite television shows over the internet and watch them at their convenience. The number is just three-percent points away from those, in the same age-group, that watch their favorite shows via live broadcast when they air on TV. 44% of respondents are live broadcast television viewers. The results of the recent poll from Harris Interactive show that there is a changing climate of television viewers in North America, including a larger audience eager to accept time-shift programming since accessing streaming video has become easier and easier in the last few years. 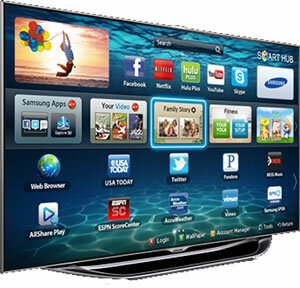 More than 30% of those surveyed also said that they have the ability to watch streaming television directly on their internet-connected Smart TV–a technology that will continue to grow in 2013. The report also outlined that those households with children are appearing to be more accepting of streaming television, whether it be via on-demand DVR or through the internet on a connected device. Despite the advancement in numbers for those watching streaming television, the Harris poll also detailed something television producers may find more alarming. They discovered that 81% of respondents explained that they are actively doing other things while watching television, with nearly 65% of those engaging in online activities. “This adds challenges to digital media planners and ad agencies needing to capture and engage audiences,” said Rhona Wulf, a VP with Harris Interactive.